It can be hard to keep a home in top shape in Orange County, and pests are not making it any easier. The dry climate brings on its own unique problems, not the least of which are these three home-wrecking pests. 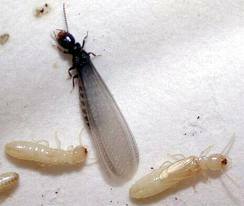 When thinking about infestations that endanger the house, most Orange County homeowners think of termites. This is with good reason. Termites do not just live in our homes, they eat our homes. They eat everything from the walls to the floorboards to the support beams that keep the house from collapsing. An untreated termite infestation means a hole in the ground where the house used to be. Ants may seem harmless. A single ant is barely the size of a grain of rice, and seems to scamper around erratically all the time, hardly fit to have a malevolent master plan. What goes unseen is the hordes of ants operating underground, marching at the command of their two-winged queen. There is not enough data to say exactly how large the average ant colony is, but colonies have been measured to be more than 25 feet deep. A colony of this size under your house means a lot of trouble, even if the ants, themselves, look cute and harmless. Carpenter ants in particular are bad news for homeowners. These creatures are capable of chewing through wood, creating passages directly from your pantry down to their home below your floorboards. The fallout is not pretty. Not every infestation means danger to the house, itself. Some mean trouble for the people, children, and pets inside. 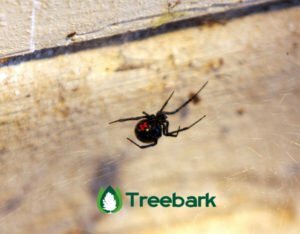 As reclusive creatures, black widows may not have much impact on the inhabitants’ daily lives, but their real effect can be sudden and dramatic. Choosing secluded places like dusty cardboard boxes and old tin cans as their homes, black widows can be hard to track down and hard to predict. The shy spiders may seem to prefer keeping to themselves, but they may bite when their homes are disturbed, and there is no telling where that home may be. Ready to say goodbye to these pests forever? You’re not the only one. Take a look at what Treebark Termite and Pest Control can offer.